Last week's Pokémon Direct seemed to be a bit of a hit and miss for Poké-fanatics (including this one), for although two new games were announced, they weren't exactly the choices many were hoping for. We got Pokkén Tournament DX and Pokémon Ultra Sun and Ultra Moon - titles that are enhanced versions of their predecessors - but there was no sign of the Pokémon Stars-esque Switch installment that many have been licking their chops for. Game Freak has begun developing a core RPG Pokémon title for Nintendo Switch. Ishihara-san then went on to say that the game "may not release for more than a year", but if The Legend of Zelda: Breath of the Wild has taught us anything, more development time on a title such as this should contribute to making it become a revolutionary entry in the franchise's illustrious series. The announcement is extremely exciting, at least to this writer, for the notion of a 3D console Pokémon adventure has been a want since the days of Pokémon Stadium for the Nintendo 64. It seems like a "good things come to those who wait" scenario, for the Nintendo Switch is arguably the perfect system to debut such an idea due to its hybrid functionality - that being both a home console and handheld, of course. What are your thoughts on this piece of news? Do you think Ultra Sun and Ultra Moon will keep you at bay, or has this announcement got you wishing the days away already - or, could you not care less? Drop us a comment in the usual spot! I think we've taken for granted just how special Nintendo's first party support is. Switch will now be out of stock for like, three straight years. Excited to hear more about this in the coming year. Do you hear that? That's the sound of Me and Toadette dancing around Nintendo's future money bank for this announcement. I dunno. Will it be main line or a la mystery dungeon. I predict it will be a hybrid game that you can get on the 3ds and the switch. They obviously are in no rush to abandon the 2ds/3ds. Awesome news. Guess it means that I still have a year before I need to worry about getting a Switch. I'm on board the hype train and I can't wait for 2018. Bring it on! This is awesome news. I was totally surprised to hear this. Pokemon this year? Pokemon next year? So basically next year, I'll have Splatoon, Kirby, Pokemon and Disgaea 5 on the same console? Never would have expected that. This is kinda amazing. @Galactus_33 Main line I guess, notice the word "core" in Ishihara's statement. Nooo too much goodness from Nintendo. Cant take it anymore lol. Hypetrain overload! I set my expectations low for e3 but Nintendo hs blown me away with all the announcements. I don't think it'll release for awhile. TPCi usually waits till a main game is 6-9 months (give or take) before release to announce them. I honestly think this announcement was just a response to the salt from last weeks direct. I wish they had something to show but that said I am really happy about this announcement. I'm guessing it'll release oct 2018 but regardless I'm really happy. All we needed was announcement of an animal crossing game on switch. Everybody go home, E3 is done now. This is great news! I could not be more excited. I'm still getting Ultra Moon (and Ultra Sun for my husband) and Pokken Tournament. But that's mainly because I have a huge obsession with Pokémon. I end up buying most of the games no matter what it is. Except pokemon Rumble.....not a fan of Pokémon Rumble. @Galactus_33 "a CORE RPG Pokémon title "
They made this announcement just to shut up all the people who were whining because they forgot how Pokémon games always take a bit of time to hit a new handheld. Yes this will finally make my Switch worthwhile in the next year. My money's still on a spin off in the same vein as Colosseum/XD that they're intending to turn into a second main series of Pokemon games (running alongside the current main series). Think of it like Mario, Zelda and Metroid... they all have two sets of main series games... Mario and Metroid both have 2D and 3D games, while Zelda has top-down and third-person games. @Galactus_33 The announcement said CORE title, not spin-off. Hopefully they announce the SwitchPocket to launch alongside it, b/c we dont need 3 docks and grips in our house, but we will need 3 Switch, 1 on tv, 2 for kids to play. $300 is too much for the kids. While I'm desperately hoping like everyone else that it will be a traditional portable-style Pokemon RPG (Gen 8), I'm still thinking it may be something like Mystery Dungeon or something else. I would like to think that when they tell their fan base "Core RPG" that they and we know very well what that means. But you never know. I do believe that if it is, in fact, the next Gen Core RPG as we hope, it will be the first indication of Nintendo moving on from 3DS. The beginning of the end. Which is still hard for me to believe that they would do so soon. @AcesHigh Game Freak only makes the mainline games. The spin offs, including Mystery Dungeon, are made by other devs. This is the best news of the show, even better than MP4. This is the one that solidifies the Sitch as the future of Nintendo and doesn't hedge about it. It's the 3DS replacement. We can move on now. Looking forward to new real Pokemon! I'd say we got... lucky. @MisterKorman probably right but I am still glad they at least confirmed it's on the tables. I hope it's gen 8 to be honest. After Ultra Sun and Ultra Moon I think I'll be well prepared to move on. 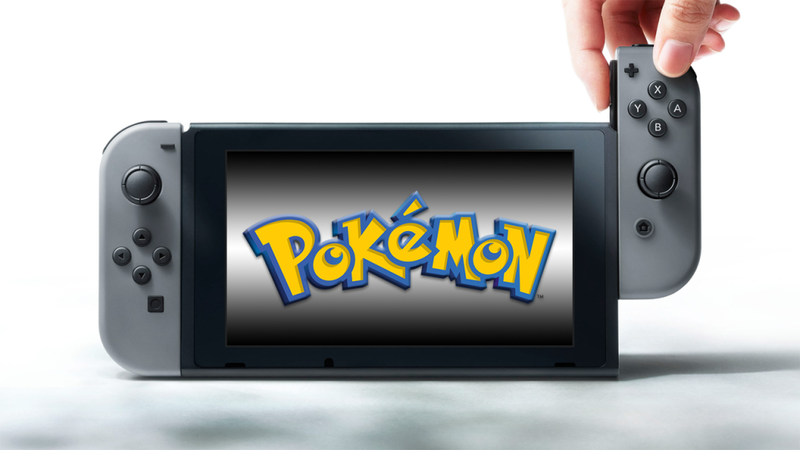 Plus a new generation of Pokemon on Switch could mean huge things for the console. That is if they can actually create enough stock. I don't have a Switch yet either. I really hope they announce a bundle deal with Odyssey at some point. I almost wish they hadn't said this. The last thing we need is a rushed Pokémon game on a brand new platform. @thesilverbrick Pokemon is a juggernaut. Nothing will dampen the sales success of Ultra Sun and Ultra Moon. @meltendo I severely doubt that. GameFreak was perfectly content eventually abandoning the GB, GBA and original DS, thee latter of which nearly doubled the sales of the 3DS. And besides, they are already making a swan song RPG this fall for 3DS. There's no way they're going to limit the scope of the Switch game they are making just to cram it on the 3DS, which barely can handle Sun and Moon as it is. @Nintendo_Ninja I don't think it will be rushed. More than a year is plenty of time, but could mean anything. I suspect holiday 2018, but I wouldn't be surprised if it turns out to be holiday 2019 and a new generation. Whatever happened to their recent saying of "we will announce titles that are to release within the year"? I thought that was too boneheaded an idea to last for long! Why not hype people up for something that's coming next year or the year after, at least sometimes? Doesn't make any sense to hold off announcements like this, it was the right choice to let people know it's coming, right away. 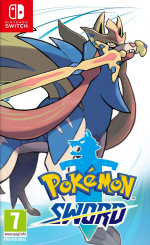 @NoxAeturnus Don't get me wrong, I'm sure the game will still sell well, but I'm sure there are others like me who weren't exactly impressed with the reveal last week and now that I know that something better is coming, I might just hold out and skip this installment altogether, especially since I already completed the Pokédex on Moon. Unless Ultra Sun and Moon have some pretty amazing secret hidden beneath the surface, I'm not exactly chomping at the bit to play them. It feels like Black and White 2 all over again, which I never actually finished. Red and Blue sequels would be amazing. What's happened in Kanto for the past 20 years? This was inevitable but it's nice to see a confirmation. Will be getting this no matter what it is, it's Pokémon! @thesilverbrick Oh I'm with you. I'm not going to get Ultra Sun/Moon, but I made that decision before I knew there'd be Pokemon on Switch. Millions of pokefan children will want Ultra Sun/Moon on the well established 3DS/2DS install base though, so I don't think a few people like us who are going to wait it out for the Switch are going to harm the insane sales numbers that Pokemon usually puts up. @RatKing64 hmmm, they do like their holiday releases. @GoldenGamer88 I take it you never beat Gold or Silver, huh? Pokemon Switch needs some Drastic changes. Add with more quests, more minigames, more character customization, Dynamic camera angle, momoetcre abilities + Activities to do, etc will keep Pokemon games stay Fresh. Kinda boring at some point for just keep Battling with Wild Pokemons or Challenger's Pokemon for a whole games. @Doggedfrog I'm glad someone shares my distaste for Pokémon Rumble! @ballistic90 I most certainly did! (Well, SoulSilver that is ...) but in 20 years things could change a lot more than in the span of 2: Characters age, pass away, new settlments are founded, new Pokemon discovered etc. Bout damn time. A lot of fans have been saying this for years! Wanna sell a poopload of consoles? Put a core Pokemon on the system and watch it fly off of shelves! @Galactus_33 Ishihara stated "Game Freak has begun developing a core RPG Pokémon title for Nintendo Switch." That kinda sells it. Thanks goodness for the confirmation. Despite the lack of anything else shown, this was probably the biggest announcement of the Spotlight. Pokemon games are massive 10 to 15+ million sellers, so it seems like Nintendo is set to bringing their most consistent blockbuster over onto the Switch. It's pretty clear that Gamefreak now sees the Switch as the next Nintendo handheld. My guess is that the next core Pokemon game for Switch will be the first Gen 8 Pokemon game, and that it will be a holiday 2018 release. Probably November 2018, if the release dates of Pokemon OR/AS, S/M, and US/UM are anything to go by. This is what I wanted: A Pokemon built from the ground up for Switch. HD Pokemon!!! Can't wait for $79.99 Pokemon games.... seriously, owning a Switch vs 3DS, so expensive in Canada. So this has less comments than MP4? I guess people really wanted that than this. Still super excited about both! I'm so HYPED I wish they hadn't said anything till it was closer to release. The wait is going to kill me. Was so psyched when this and Metroid Prime 4 were announced! Hitting it out of the park Nintendo! Nintendo is bringing out the heavy hitters for Switch, and a full arsenal. Pokémon and Metroid Prime 4, Fire Emblem and Xenoblade 2, Mario Odyssey, Splatoon 2 and Mario Kart and Zelda, Arms and Kirby and Yoshi and fan spinoffs like Pokken Tournament and Fire Emblem Warriors, Mario Kingdom Battle.. If it's anything like either 1. One of the main series games, or 2. Anything like Coliseum/XD, I'm getting it day 1. No questions asked. Sounds like it'll be gen 8 if they just started development on it. Despite the long wait, I'm excited to see how it's optimized for Switch! Bought X but didn't really play it. Otherwise haven't played since Red......... so why am I hyped for this? lol. But I am! 3D Adventure RPG Pokemon game? Sign me up. That was the kind of Pokemon game I been hoping to play since before I stopped playing Pokemon. Well, we know now what Nintendo's main game will be for Holiday 2018. When they announce the official release date, its going to be a stampede to buy Switches. I hope we get an adventure with the main game worlds, but with (upgraded) Colosseum or XD graphics. Game Freak has a decent foundation there! Take all the time you want to hit this one out of the park Game Freak, and please, fix the damn performance issues! Well DU'H! This was always going to happen and I am SO glad Nintendo confirmed it today. It would have made nearly no sense for Gamefreak to continue putting out their main Pokémon games on the 3DS that can barely run them anymore & is likely to lose online support within the next year or so. Anyone pushing the "the 3DS is the real handheld, Gamefreak won't support the Switch" can now hand in their Nintendoomer membership badge & get in line with common sense. @Luna_110 I hope Gamefreak can do a little better than Collesseum/XD graphics nowadays, those games looked pretty bad even for the time. I think they made a good start modernising Pokémon with Sun/Moon... as long as they don't switch from turn-based mechanics to real-time battle style Pokémon Switch should be amazing. BTW, unless Nintendo remakes Pokemon Sun/Moon for a 3rd time, the Pokemon game coming to Nintendo Switch will almost certainly NOT be the rumored Pokemon Stars. I'm pretty certain Pokemon Stars is Pokemon Ultra Sun/Ultra Moon. @Galactus_33 Well, why do you "dunno", when they literally said "core RPG"? They have explicitly said, that it will be main line RPG. Lol you are not alone in this. I wasnt even planning to watch the E3.. Im glad i did haha. I think it means they battle inside a giant apple.